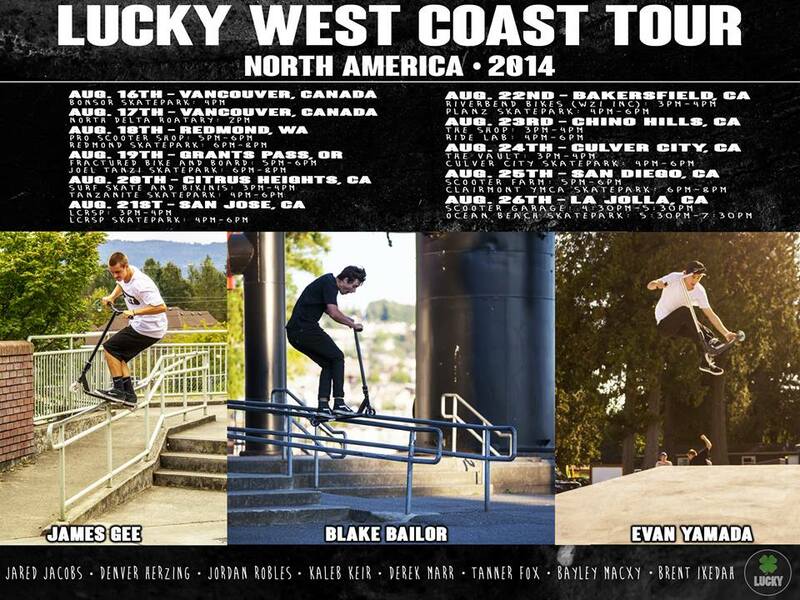 Lucky Scooters pro team riders, James Gee, Evan Yamada and myself (Blake Bailor) will be touring the entire west coast, visiting shops and riding skateparks in the area. If your going to be around for any of the tour stops, you definitely have to stop by and shred with us! The more the merrier!